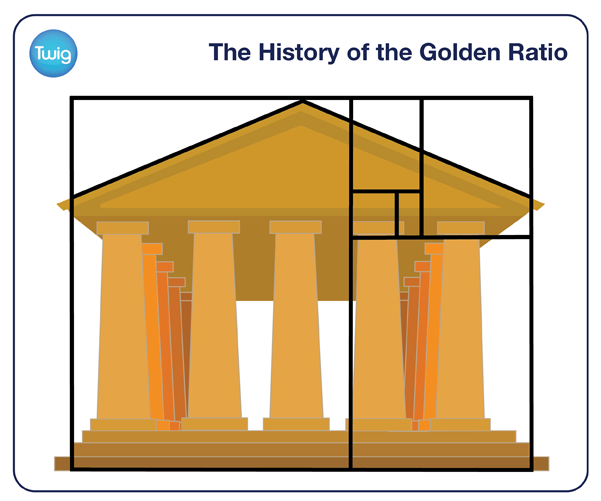 How the Golden Ratio was discovered and used through time, from architecture to art to music. The golden ratio has been present in human civilization for more than 4000 years. But what is the ratio, and how was it discovered? Professor Ian Stewart University of Warwick, UK –"It's actually a very simple idea. Take a line, and divide it into two pieces, in such a way that the ratio of the whole line to the big piece, is equal to the ratio of the big piece to the small piece. That's it." The resulting golden ratio is approximately 1:1.618. The ratio can be found in nature and relates to what we find instinctively attractive. The influence of the golden ratio can be seen as far back as the dynasties of the ancient Egyptians. If the slant height of the Great Pyramid is divided by half its base length, the ratio revealed is remarkably close to the golden ratio. 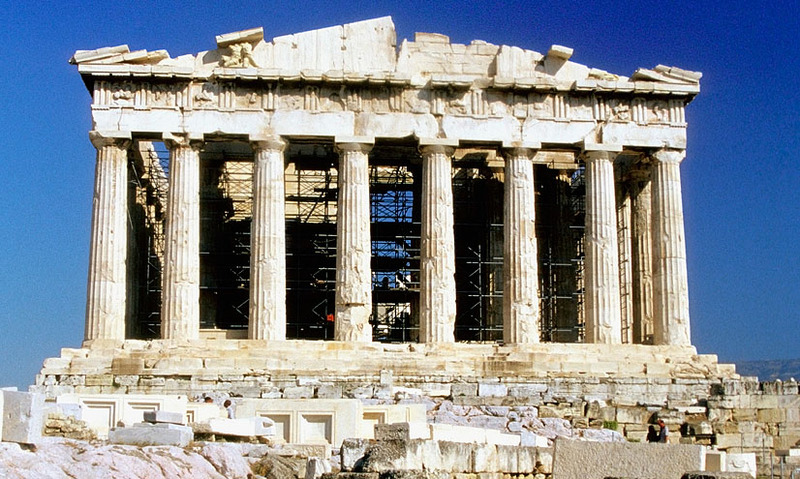 In ancient Greece, the floor plans and façade of the Parthenon are also believed to have drawn on the aesthetically pleasing properties of the ratio. The Greek mathematician Euclid later identified and named the golden ratio. Along with other Greek mathematicians of the time, Euclid saw ratios and geometry as symbols of heavenly importance. Centuries later, these sentiments were echoed by artists of the renaissance, who dubbed the ratio 'the divine proportion'. From Leonardo da Vinci to Botticelli, the painting of perfectly proportioned figures has been linked with geometry. The golden ratio's imprint is present in music too. Some composers are said to have exploited it when structuring compositions. It is suggested that the composition of some of Debussy's symphonies contain allusions to the golden ratio, providing a framework that is appealing to the ear. Over 4000 years after the Great Pyramid's construction, the golden ratio's influence can still be seen in modern art and architecture.